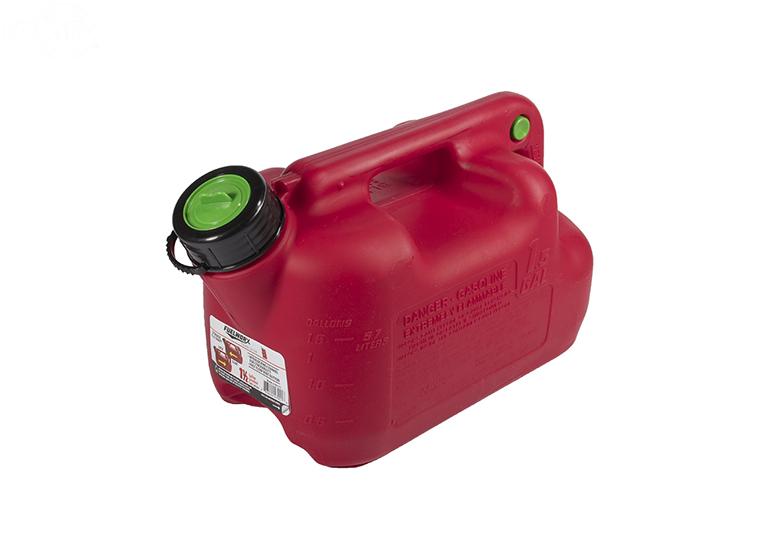 Fuelworx 1-1/2 Gallon Stackable Gas Can. Fast-Flow, 360 degree rotating tip. Flow Control Vent. Patented Technology. 1-1/2, 2-1/2 and 5 Gallon can be stacked together.